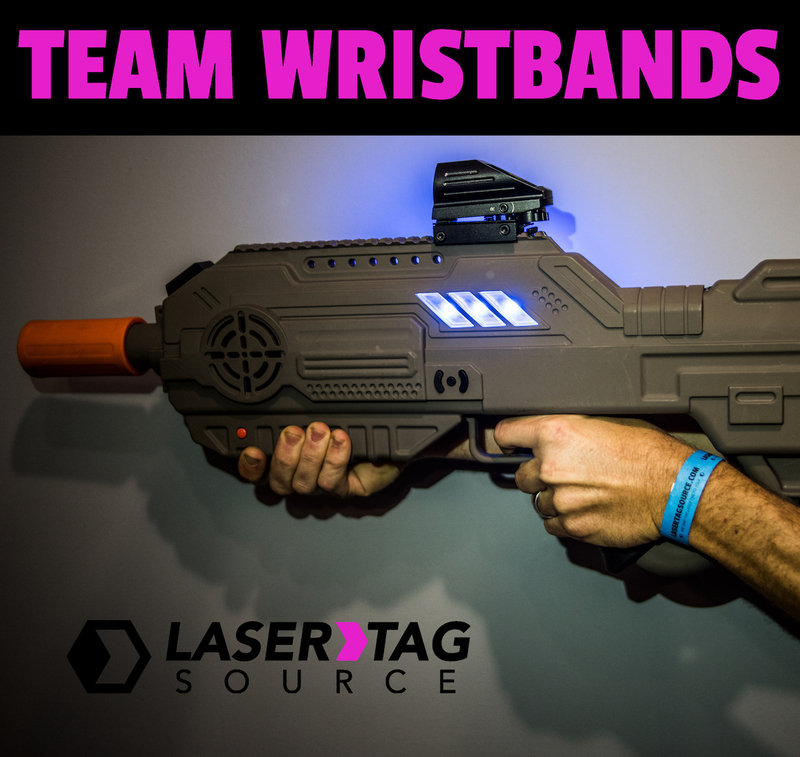 Do you have more players than wristbands at your laser tag event? Maybe you ordered a 20-tagger package but you’ll have 100 adrenaline-fueled kids rotating in and out of the game. Obviously those 20 complimentary wristbands won’t be enough. Well, you’re in luck! To get the 80 remaining wristbands that you’ll need, just pick up four of these sets for $20. Do you have 30 kids rotating in and out of a super intense Hornet-infested (the taggers, not the creature) battlefield? Well, that fresh Birthday Box Package came with one wristband for each tagger, so you still need 20 more. Just add on one set of extra wristbands for $5 and you’re all set! Maybe you’re hosting a GIANT event with 300 people rotating through the iCombat-tlefield. So you have 50 iCombat Barracudas, which automatically gave you 50 wristbands. But you still need 250 more! So you just add on 13 extra sets of wristbands for a total of $65, and everyone has their team label. Are you having 900 people rotating throu… I think you get the point. You need extra wristbands? We got your back (and your wrist).